TurboCAD Pro is rich in fundamental drawing tools and drawing aids that speed design. Quickly and easily create views and viewports of any size and shape. Access extensive paper space and printing capabilities, a multi-select drawing tool, marker and schedule tools, leaders, multi-leaders, dimension tools, and symbols content. TurboCAD Pro includes an integrated suite of architectural tools that accelerate productivity in design and drafting, or in the documentation of existing compatible architectural models. The architectural objects are AutoCAD® Architecture (ACA) compatible so that .DWG models with ACA extensions may be read, modified, and documented as needed. 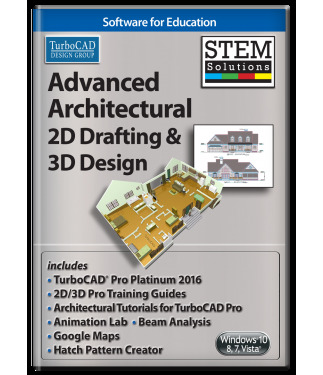 TurboCAD Pro architectural tools include Wall, Window, Door, Roof, Stair, Marker, Schedule, and Terrains, with many more in TurboCAD Pro Platinum. And all the architectural objects have both 2D and 3D representations, so that elevations, floor plans, and ISO views are easier to document. Often referred to as variational sketching, the D-Cubed™ 2D DCM constraint manager from Siemens Industry Software Limited gives you greater control and productivity. By setting up constraints, you get more done, create part families faster, incorporate red-line changes more quickly, and have the flexibility to evaluate different designs with ease. Access a host of geometric and dimensional constraints in TurboCAD Pro, as well as mid-point and pattern constraints with TurboCAD Pro Platinum. The Design Director palette streamlines work and enhances productivity with advanced controls for Layers, Layer Filters, creating Layer Sets, setting and saving Work Planes, controlling Named Views, and more. TurboCAD Pro lets you extend the functionality of the application with the ability to develop new tools, functions, and behaviors. Custom routines that are performed on a regular basis can be automated. Specific tools for vertical applications can be created and added. Even commercial plug-in applications may be developed and sold. 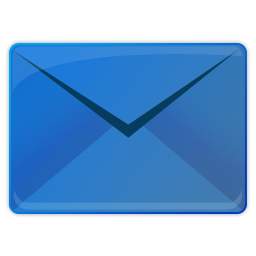 Updated documentation and samples are provided and there is a wiki and forum-based support online. TurboCAD makes it easy to maintain your intellectual property investment and share your work. TurboCAD Pro supports export of 3D models to 3D .PDF which can be viewed interactively with Acrobat Reader. Plus, users can open, insert, or embed up to 35 file formats and export up to 28, including .DWG, .DXF (from R14 through 2015 including AutoCAD® Architecture extensions), .SKP (SketchUp™, to version 2015), .3DM (Rhinoceros®), .3DS (Autodesk® 3ds Max®), IGES, STEP, .OBJ, COLLADA (.DAE – export); and many more. 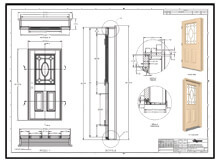 TurboCAD Pro Platinum speeds design with an extensive collection of parametric object types and shapes for walls and compound walls, doors, windows, stairs, railings, roofs, and slabs. Use the style manager to create and manage how objects are defined, look and behave, or choose from the many pre-configured styles. 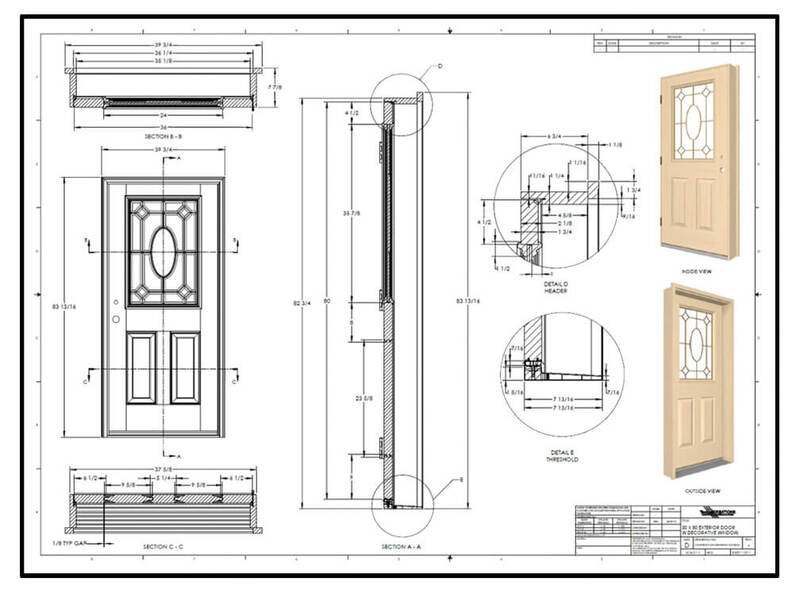 Accurately manage data with dynamic window and door schedules and use the sections/elevation tool to examine custom cross sections of architectural designs. 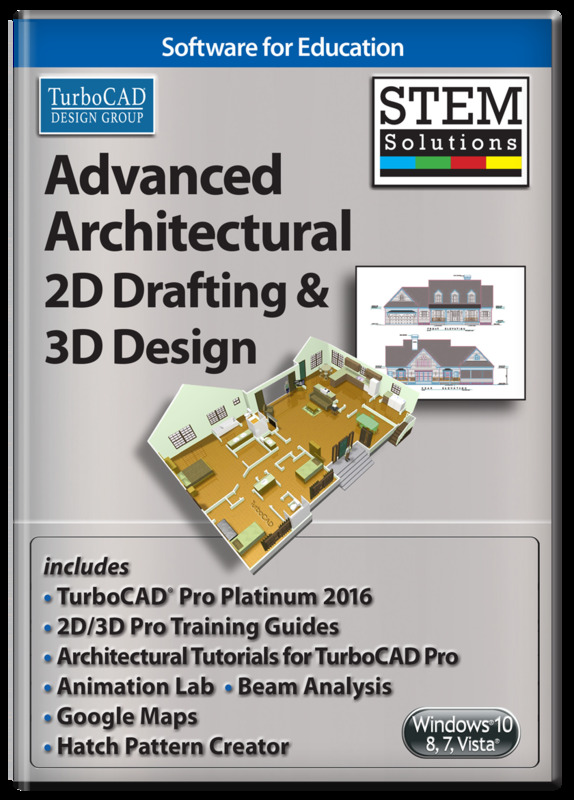 TurboCAD Pro Platinum both reads and writes STL files, the standard in 3D Printing world. The Platinum version includes tools that allow for the modification of the faceting of the STL model which gives the user control over the smoothness of the printed 3D model. 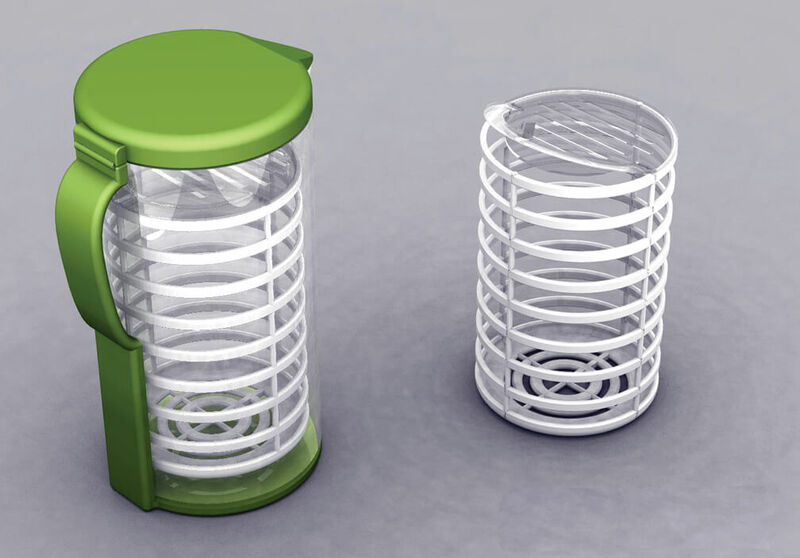 Other 3D printing features include surface simplification controls and a 3D Print button for 3D Systems printers. This is an HTML and video training guide that teach common 2D and 3D CAD skills through easy to use, step-by-step sessions. It’s designed for students learning CAD for the first time in a classroom setting, whether at school, college, university or any educational institution. All key 2D features in TurboCAD are presented in the first program. Following basic introductory sessions are 14 learning sessions. Over 220 videos are spread throughout the 14 sessions to demonstrate the activities being presented. Summaries as the end of each session offer concise review of progress. The instruction also includes a rapid reference index for quick location of specific topics, a Google Dictionary, and Google Translate support. With both the 2D and 3D guide, each session begins with a task worksheet with specific instructions about the session. All sessions are single session, from start to finish, which means drawings can easily be completed in the recommended timeframe. Projects and practical sessions are also included so you can build your own projects from scratch. These programs are also appropriate for anyone wishing to learn TurboCAD Pro or TurboCAD Pro Platinum for Windows in a self-paced, structured session format. 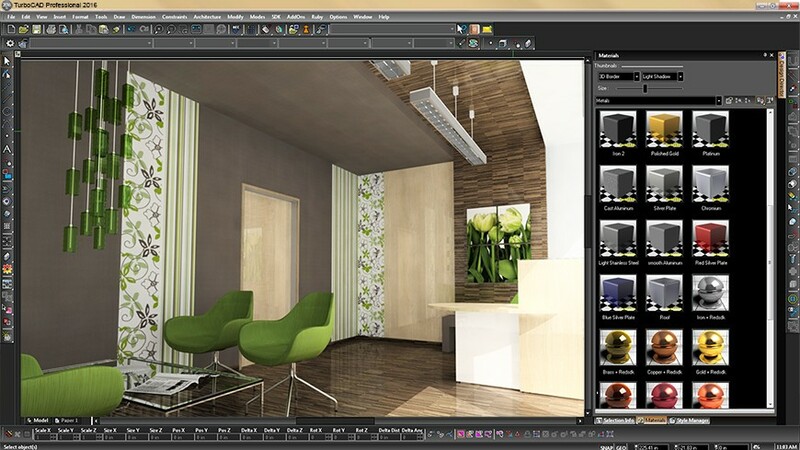 The Architectural Tutorial Bundle for TurboCAD Pro provides three complete training tutorials from TurboCAD expert Don Cheke of Textual Creations including the Exterior Architectural Settings tutorial, Workplanes tutorial, and Drawing Template tutorial. 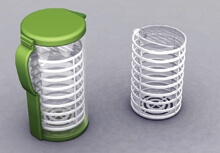 Each tutorial offers instructions to master the use of TurboCAD Pro while creating some amazing designs. These are downloadable tutorials, delivered on PDF, perfect for anyone looking to start their training immediately. Drawing Template Tutorial - Never draw the same thing twice. This tutorial helps users broaden this tenet to its fullest definition. Within the tutorial the reader will be led through each keystroke to produce four ANSI size reusable TurboCAD templates with title blocks. These are based on the mechanical style the author uses in his daily work with one client within the manufacturing industry. The reader will find much discussion within the pages of this tutorial that will hopefully provide good insight into choices that are made. Demystifying TurboCAD Workplanes - Students learn the fundamental 3D design concepts behind workplanes. Most new users are initially overwhelmed by this concept, but once the user puzzles out what workplanes are all about they quickly realize that they weren't that complex after all. Each workplane tool, complete with a user-friendly explanation and example will be illustrated within this tutorial and this will be done by having the reader work through various examples keystroke by keystroke. By the time the reader reaches the end of this tutorial any confusion about workplanes should have lessened significantly. 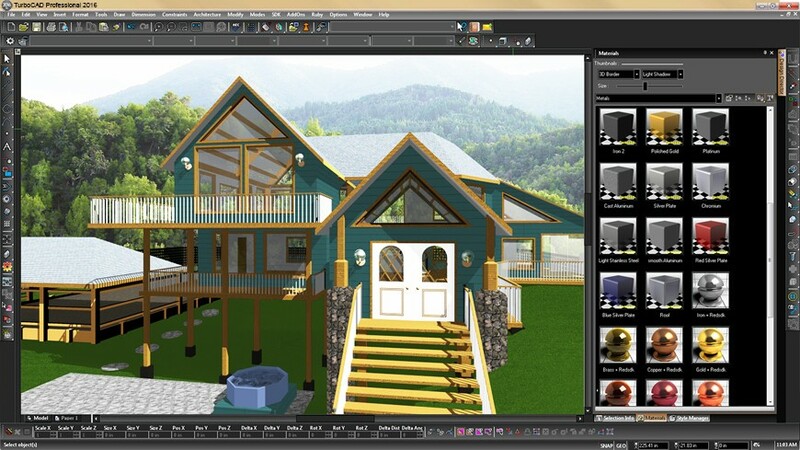 Exterior Architectural Settings Tutorial - Students will produce a 3D architectural design. Aside from learning how to draw in TurboCAD, the user will learn how to insert standard lighting and how to utilize render scene luminance. 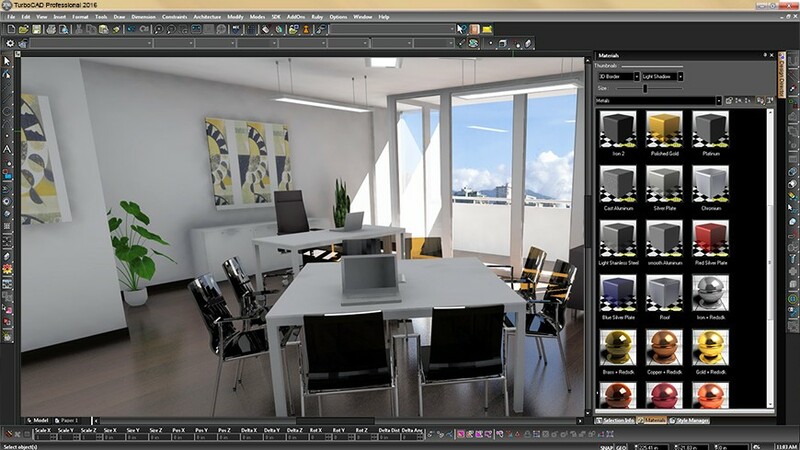 The reader will learn how to establish a render scene environment and the reader will learn how to render their drawing and save it in a high resolution image format. Microsoft Windows 10, Windows 8*, Windows 7, Windows Vista**, Windows XP** - 4GB RAM. *TurboCAD is designed for desktops or laptops that meet the indicated system requirements. Windows RT technology used on some tablets is not supported.